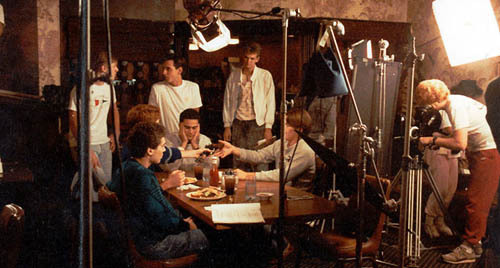 After we met on the film Summer Rain, Bryan and I made this short film about five guys meeting at their old hang-out after their first semester of college. 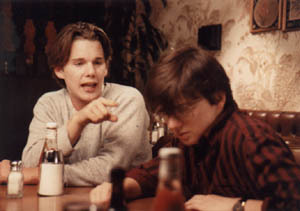 Ethan Hawke had known Bryan as a kid in New Jersey and agreed to star in it at the same time he was filming Dad with Jack Lemmon. 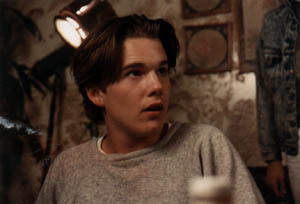 The learning experience here is that Bryan decided also to act in the film and be one of the guys. We had to get him drunk on gin from the liquor store next door to relax him enough to act. He saw first hand how perfomances can be created in the editing room. Dylan Kussman and Brandon Boyce (screen-writer of Apt Pupil) also acted in it. I ended up co-directing the project, as well as editing and doing the sound design. We would film from 10PM to 8AM. I remember a few occasions where I woke up nearly rear-ending another car on my drive home every morning, as the restaurant was 40 minutes from my house. I didn't write the score on this one, however I just drove the composer crazy. As usual, Lion's Den was edited in my living room. 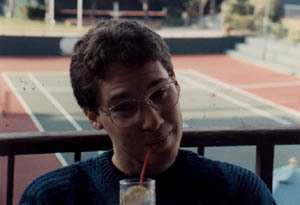 It was shown with four other films at the Director's Guild, and it was there that Bryan met someone who knew about a Japanese company which funded low-budget feature films. Public Access became one of those features. 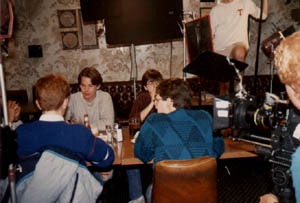 At the table, from left to right: Bryan Singer, Dylan Kussman, David Conhaim, Ethan Hawke. In the middle of it all with shot list in-hand, me. 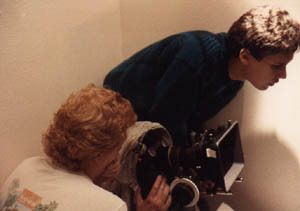 On camera, John Aarsonson.